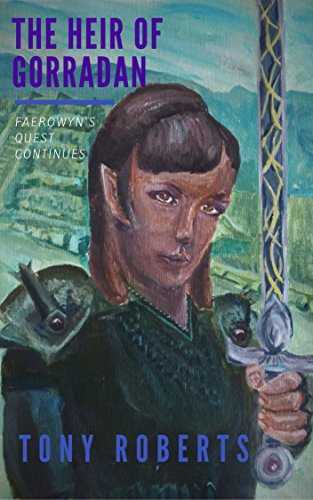 Leaving the warrior school at Kaltinar, Faerowyn returns to the kingdom of Gorradan to find a new ruler in power, and her friend Captain Lace missing. Her special abilities are soon spotted by the new regime and she is recruited to help the royal army find the missing heir, presumed held in the forbidding Losingar Forest by rebels. Faerowyn’s price is the freeing of Captain Lace but she soon finds that the king’s advisors, Capel and Theruddas, are playing a shadowy game of intrigue where nobody seems to be who they are, and she wonders whether Lace is alive or dead. Once within Losingar, she discovers that friends are enemies and enemies are allies, and that betrayal could come at any time from any direction. She will have to call upon her special powers and her evil other self to pull her through the treacherous path she has been sent on if she is to succeed.